Bathrooms: Private ensuite facilities with hot water 24/7, all-natural spa-quality toiletries, luxury bathrobe and slippers, hair dryer. 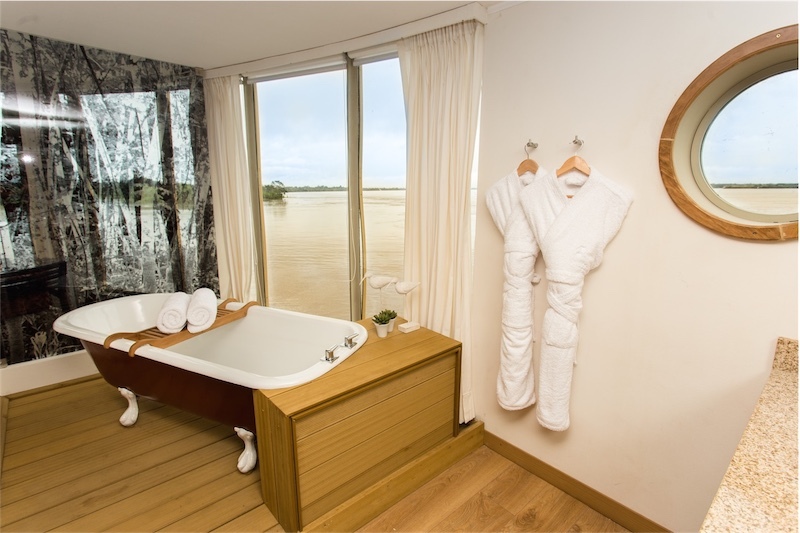 All cabins have showers, and the Amazonia Suite additionally has a bathtub. Size: 597 Sq. Ft. = 55.5 Sq. Mt. Beds: King-size bed with premium mattress, luxury cotton linens and duvet. Features: Bottled water replenished daily, nightly turndown service, electronic safe, make-up mirror, iron & ironing-board, multi-configuration plugs (110V/220V - note does not fit European plugs), generous closet space and under-bed storage, a stocked minibar with complimentary water and soft drinks, writing desk and seating area. Additional amenities for the suite include: one complimentary 60-minute spa treatment per guest, shoe cleaning upon request and a scented bath upon request. Size: 253 Sq. Ft. = 23.5 Sq. Mt. Additional amenities for the suite include: one complimentary 60-minute spa treatment per guest and shoe cleaning upon request. Size: 237 Sq. Ft. = 22 Sq. Mt. 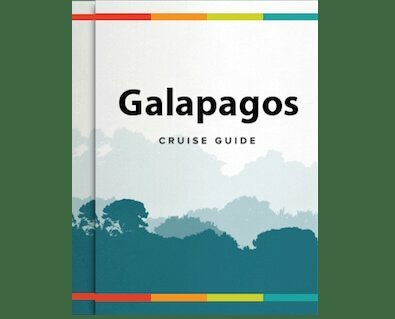 / One Single Fauna Stateroom measures 121 Sq. Ft = 11 Sq. Mt. Beds: Two twin beds that can be converted into one queen-size bed. Premium mattresses with luxury cotton linens and duvet. The Single Fauna Stateroom only has one twin-sized bed.